Goa is paradise for a lot of people, be it travellers, tourists, families, friends or couples. It’s got everything and more to keep you entertained during your stay. When you think of Goa, you think of an amazing holiday at the beaches that are certain to take your breath away. Since Goa is divided into the north and south, you’d think that there were equally good attractions on both ends. You wouldn’t be wrong, for South Goa comes with its own perks, and one of them is its lavish resorts and hotels that will treat you like the royals that you want to feel like. 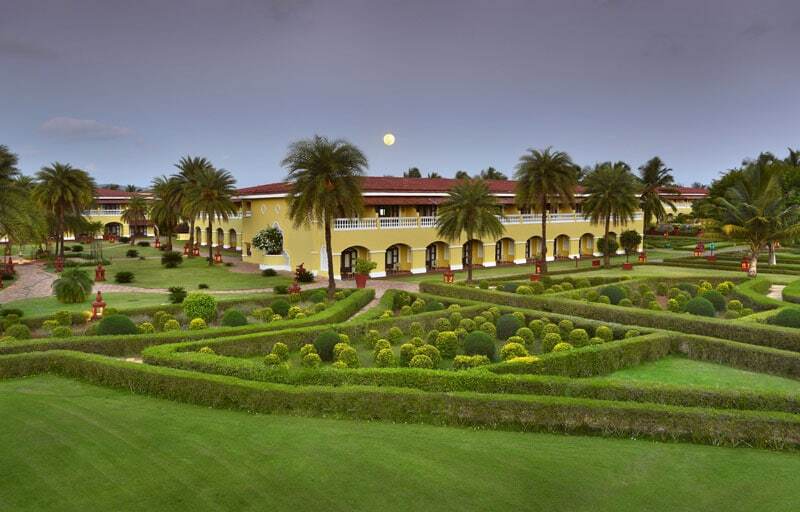 Here are top ten luxury resorts of South Goa that you can make your next booking for. Romance and solitude come together at Kenilworth Resort and Spa to provide you the most enlivening and luxurious time during your stay. 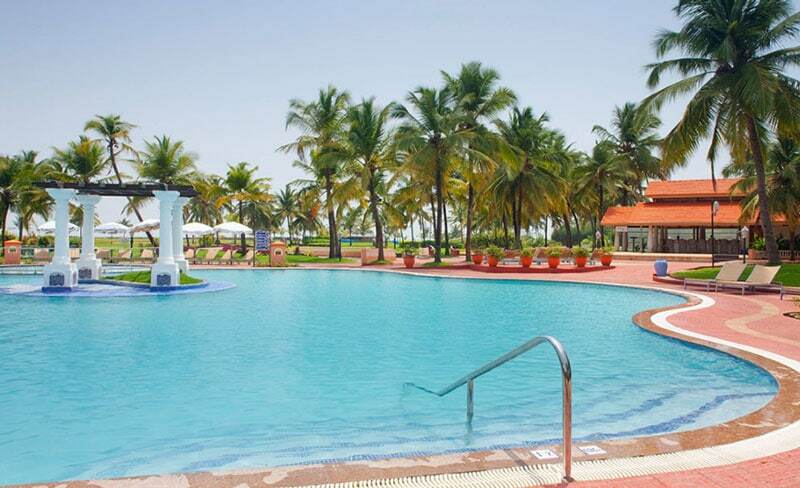 With a perfect atmosphere on the exterior and the interior being just as competitive, Kenilworth is one of the most popular resorts in South Goa. You can have fun taking up water sports just as much as you can relax at the exclusive spa at Kenilworth, so it’s just the best of both worlds for the guests. 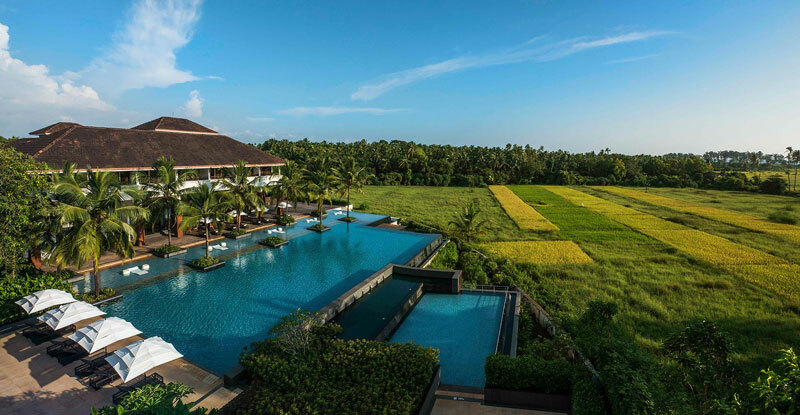 Rice plantations stretching far and wide and garden view rooms making your morning are just a couple of the delights that Alila Diwa resort offers to its guests. The architecture of Alila Diwa is inspired from the traditional Goan ways of living, and the resort inculcates that in its staff, food and service for all the guests. The luxurious amenities of Alila Diwa include an outdoor pool, a hot tub, and suites that would put nearly all the 7-star hotels in Goa to shame. Couples would have the perfect time at the Zuri White Sands Resort and Casino, for it is situated right on the beach where the beautiful waves of the sea would lure you perfectly in. Zuri is famous for hosting beach weddings in Goa and most people enjoy the brilliant ambience of this sunny beach, but it is equally as fun for families and groups of friends as it is for honeymooning couples in South Goa. Don’t forget to indulge in the delectable Goan cuisine that Zuri offers. A private beach, dense woods and lagoons of pristine waters that are sure to keep you mesmerized, the Leela is opulence of a standard unmatched. Add to that the delectable multi-cuisine restaurants, a vast swimming pool, a golf course, tennis court and lavish suites that consist of private pools, the Leela offers unbelievable luxury to its guests. You can indulge in more extravagance than you can imagine while at The Leela in South Goa. Wake up to the sight of a breath-taking seaside haven amidst the backdrop of the looming Sahyadri Hills at the Lalit Golf and Spa Resort. Famous for its extensive golf course that offers extravagance galore, the Lalit is nothing short of generous when it comes to hospitality and service. The relaxing spa of this resort is everything you wanted while looking for a calming time during your stay at the Lalit Golf and Spa Resort. You can’t go wrong with a private beach and a fantastic garden to feast your eyes while at the Holiday Inn Resort in South Goa. You get an outdoor pool, a children’s play area, multi-cuisine rooftop and beach restaurants, a luxurious spa and a lot more at Holiday Inn Resort, so it’s the complete package that you just can’t resist taking. The beach restaurant of Holiday Inn is known for its authentic Goan breakfast fresh coming from the sea. 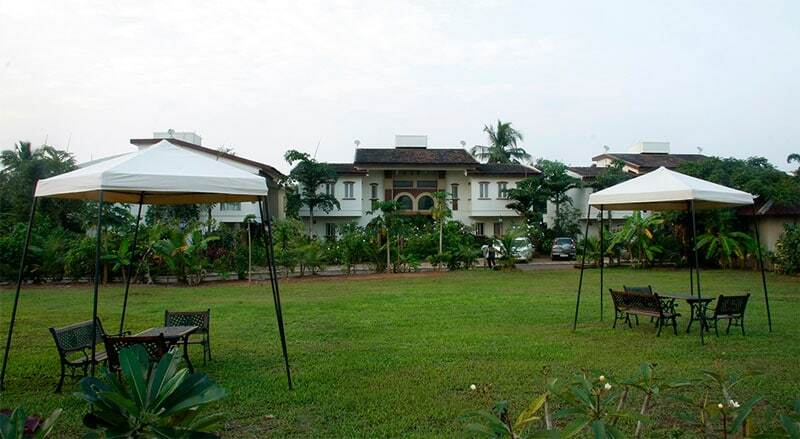 Situated on Colva’s white sand beach, Beleza is a beautiful resort in South Goa that is known for its lush greenery and paddy fields along with the lavish suites within an enviable villa that can’t be compared. This brings to life the opulence of a true Goan villa where you can get some amazing pictures and make your friends jealous of how fairly well Beleza’s staff treated you. Known for its great food and ideal hospitality, Beleza gives a lot to talk to about and indulge in at the same time. Another one of Goa’s exotic boutique resorts is the Heritage Village Club, which brings together a pretty atmosphere and interiors that can be captured in your camera. With holiday packages that guests can choose from to have the best stay while at the Heritage Village Club, this resort also comes with an authentic Ayurvedic spa to take all your troubles away through its therapeutic qualities. Heritage Village Club is most well-known for its spa and massage therapies that are certain to leave you relaxed. This five-star hotel and resort is a beachside wonder that can easily steal your heart with how beautiful the view is. With a Mediterranean design of architecture, cosy interiors and luxury suites combined with multi-cuisine restaurants and shacks, calming spas and yoga spaces will keep you relaxed and serene at Taj Exotica. You can enjoy the lavish ambience and indulge in some fun activities at the same time. Rooftop dining, sprawling gardens, water slides and what not await you at the Park Hyatt Resort and Spa. You are pampered beyond measure and would truly feel like there’s nothing but luxury you want in life while you stay at the Park Hyatt. A poolside bar that has attracted many late-night parties and spaces for kids to have fun in are all available at the Park Hyatt, so there’s everything for everyone. Goa’s beauty can’t possibly be enjoyed from the confines of a hotel room, but if you’re a lover of luxury and relaxation, these resorts are sure to keep you rooted to the spot for some pampering and self-love.